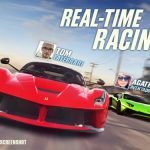 As promised, we are back with a new CSR Racing 2 strategy guide, and this time we’ve loaded it with tips designed for intermediate and advanced racers. But what’s the deal with this game and why is it one of the top new games on both Android and iOS? As a recap of what this game is about, this is a new title from NaturalMotion, and the sequel to both CSR Racing and CSR Classics. 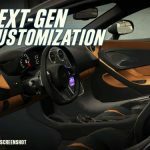 With loads of new race types, new characters to meet, and a wide range of high-performance supercars (from the likes of Hennessey, Koenigsegg, and others) and souped-up “regular” cars (Ford Fiesta, Hyundai Veloster, etc.) for you to collect, this new game goes above and beyond what its two predecessors provided. Our list of beginner tips were there to help you familiarize yourself with the CSR experience, while another guide, our tips for earning free gold and keys, were there to help you earn more premium currency. 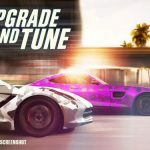 This new list of CSR Racing 2 cheats, tips and tricks deals with more advanced topics that anyone done with the tutorials should be following. Read on, and here’s hoping you make it to the fifth tier and take down the crew that stole all your garage’s prized vehicles! Although this should arguably be filed under the basic or beginner tips category, you won’t know about this option until you’ve got a little racing on you. It can get tiring to wait about a dozen minutes or so per pip of gas, but if you watch an ad video when the game gives you the opportunity to do so, you can earn two free pips of gas per video. Keep on watching videos as long as CSR 2 has some stuff to serve up or until your tank is full, whichever comes first, and as we said in our guide for earning more gold and keys, do not spend gold on gas! It’s just not worth it, as every piece of gold counts toward more important things, such as buying more cars. Why should you connect your game to Facebook? Personally, we believe its main benefit is allowing you to save your progress and to race using your own name, although progress gets saved too if you log in via Google Play. But if you’ve got friends who also play the game, you could share gas pips with each other, which gives you all the more reason NOT to spend gold on gas. At a certain point in the game, you’ll get to meet Donna Banks, who handles the rare imports. She will offer one free crate for you to open, and this would typically come loaded with fusion parts, which could be added to your upgrades in order to make your car more powerful. Make sure that your phone’s notifications are on, because this is one great way to collect more parts without having to pay for upgrades! You’ll have a chance to open one free crate every four hours, but bear in mind that you won’t always get a part that corresponds to the make of cars that you own; you can save those parts, though, for when you’ve got a matching car in your garage. 4. Why Should You Join A Crew? There’s no way to escape it – while joining a crew is technically optional in CSR 2, there are more than a few reasons why you should join or create one of your own. For one, it allows you to unlock “boosts and content” via your crew perks. Secondly, it allows you to join the Prestige Cup races, where you compete for Respect Points and could potentially win thousands for your entire crew, provided, of course, you’ve got a qualifying vehicle for the event. Thirdly, joining or forming a crew will, at some point, become part of your goals, and this game does not offer you any option to re-roll you goals if you don’t like the ones you currently have. As always, return the favor when a crew member does you a solid, and make sure you’re joining an active one with lots of members! Upgrading certain parts to a given level would allow you to tune them, which could make your car perform better at the races. To wit, the tunable parts include your nitrous, which can be tuned at level 2, your tires at level 3, and your transmission at level 4. Simply tap and hold the circle with a dot inside, then drag it forward and backward as needed while keeping an eye on the EVO Points, which are located next to your car’s PP, or performance rating on the top of the screen. The more EVO Points, the better, so feel free to tweak the tuning until you’re able to max out the EVO Points figure. The game also advises you to “revisit” your tuning after certain upgrades; upgrades, after all, are pretty much the same as buying new parts, and new parts can change the dynamic of your car. Don’t forget to re-tune your car if need be, as failing to do so might have you losing a race that is otherwise winnable. And when testing your car’s new tuning, do it at the regulation races, and not via the dyno option. The dyno option will charge you money, while regulation races win you money. We did mention the non-storyline races in our last guide on gold and keys, as competing in them could earn you a good amount of premium currency (or cash). We’ll be revisiting them again, as well as talking you through a couple others that have no bearing on the game’s main campaign. Daily Battles are races where you can get to drive a loaner car for one race, with new races available every four hours, but prizes only available to win once a day. This can help get your feet wet if you’re still in the first or second tier, as the loaners you’ll get are usually higher-tier vehicles that are harder to control! Winning a Daily Battle will earn you some nice freebies, assuming you’re eligible for a “mystery prize,” but usually it could win you a handful of gold or cash. The prizes keep getting better with each Daily Battle you win, so make sure you take part in them at least once a day! The Prestige Cup is for crews, as mentioned earlier, and would require you to have a certain type of car in order to compete; performing well here could earn you a lot of Crew RP, or Respect Points, and could also earn you gold. Restriction Trials, which would ask you to disable certain upgrades, run for a day and offer uncommon or rare fusion parts, or Stage 6 upgrades, depending on how many races you win. The Supply Cup could also earn you parts as prizes for winning so many races, and would require you to own a certain make of car in order to join. And, as we mentioned in the gold/keys guide, the Custom Trial can win you premium currency, and would require a certain make of car, and that the car be customized. Last, but not the least, the live races allow you to have a head-to-head race with another human player. This may seem like the most casual type of race, but as the game says, this is one of the best ways to earn RP, which will help you make that climb up the leaderboard. 8. What Are Fusion Parts And What Can They Do For You? We mentioned fusion parts above as the main reward you’ll be receiving in your prize crates. These are parts which you can bolt onto your existing parts, effectively “fusing” them and giving a decent boost to your car’s overall performance rating. Once you’ve won a fusion part, though, you might not be able to set it up right away; one, it may belong to a car make which you don’t own yet (e.g. you may win a Dodge fusion part when you only have a Ford Fiesta and Mini Cooper in your garage), and two, you might need to upgrade the main part before installing it. Fortunately, that’s why you have your inventory. Click on the “I” icon on the right side of your screen, then click on the wrench icon so you can access your inventory and check out the parts you already have. This is useful when keeping track of all those parts and knowing when they’re all ready to be installed. 9. What Is The Best Time To Hit The Nitrous Oxide? It would all depend on the car you’re driving, but generally speaking, you want to hit the nitrous button on the left side of your screen when you notice it’s going to take a while before the needle on the odometer hits green and asks you to shift. Hitting it right after shifting from neutral to first gear is not a good idea at all. If you hit it after second gear, that’s not a bad move, but not the best one you can make. But if you hit the nitrous button after shifting from second to third gear, chances are you’ll be able to make the most out of your nitro. It’s one thing to knock off the tier boss’ underlings – you don’t necessarily need Stage 5 parts in order to defeat those guys. In fact, you may even have an easier than expected time against the tier boss in your first of three races, provided you’ve got a Stage 4 part or two and you make perfect shifts and a perfect start. But generally speaking, you’ll want your car of choice for the boss race to have most of its parts, if not all of them, at Stage 5; this might require a good amount of grinding in the regulation races, if you’ve already completed the ladder series, and taking part in the non-storyline races we mentioned above. Also be sure to tune your car’s tunable parts prior to the boss race, and if you’ve got fusion parts, install them. You want your car to be as powerful as possible, and be at a similar PP level or better. Otherwise, you’ll only be wasting the boss’ time on a losing effort. Hitting on the “I” button will also show you an option where you can sell your car if you’re in need of extra cash. Now if your goal is to collect all of the cars in CSR 2 – and we will come up with some tips that can help you achieve that – you shouldn’t sell anything, being that you’ll typically be getting a certain number of cents on the dollar. In other words, don’t expect to make a handsome profit by selling your existing cars, even if you’ve upgraded them quite a bit. But if you’re strapped for cash and need to upgrade a higher-tier car, for instance, to get it ready for the boss race, then you can go ahead and bite the bullet and sell a lower-tier car. You can also sell your parts, simply by going to the Inventory section, clicking on the part, and choosing the option to sell it. This is another good way to get some instant cash, though you shouldn’t expect anything more than a few hundreds for the fusion parts, or a couple thousands for the Stage 6 upgrades. We personally recommend holding on to them, though you should definitely sell any duplicate parts you have. No use keeping them around if they’re surplus. In our upcoming guide, we shall give you a handy list of what you need to buy all of the available cars in the game, but the girl at the imports store (Donna) can also help you out when it comes to acquiring rare cars. Provided you’ve got silver or gold keys, you can spend them at her rare imports store, and get a guaranteed chance of winning something you won’t be able to buy with your cash or your gold. I have stage 6/6 part for tires for Audi Rs 5 Coupe in my inventory but I do not know how to install them in the car. Help!! Install the 5/6 Tires first, then it will ask you to install the Tier 6 Tiers. Just makes sure they are for RS 5 not the other 2. You have to upgrade your Audi to the max. If I have a stage 5 part fitted, does it do anything to install a fusion part in stage 4 (or lower)? Yes. Putting all fusion threw all parts will get the max out of your car. I have been playing this game for 3 weeks and have done very well I own 6 cars and a ton of parts. It’s pretty self-explanatory how to Fusion the green and blue Fusion parts but I have no idea how to Fusion epic parts. I just can’t seem to figure it out. Anyone have any ideas?? Maybe the epic parts fuse to stage six? I have same problem… any help??? I have the same problem .how I fusion the part .I have the part to the same car. Sometimes even stage 6 doesn`t allow you to fuse epic parts. If this is the case, stage 6 will ask for a Rare part first, and once you installed that one, it will unlock the slot for Epic parts. Hello friend first go to upgrade window ,you will see there + button .Click on it and it will show you for respective fusion. You have to wait until the green and blue fusion parts are on and then the epic one will become available. Unless there isn’t an epic fusion part on that part. Same here. I can’t figure that out either. how do you use the fusion parts and how do you fuse stage 6 parts? I have 2 Mini Coopers but it won’t let me race in the Prestige Cup for Mini Cooper. Any idea’s? What the hell are you doing with 2 mini coopers?? Didn’t u find a better way to spend ur money? What is wrong with that? Who are you to be telling people how to spend their online currency? one was purchased, and the other was most likely a rare mini obtained through a prize or crate. AND I agree, what does it matter if he buys 2 minis? How do you beat level 84 on daily battle? I’ve tried like over 30 times and just cannot beat it. Help!! Bro, not only “perfect launch” and ” Perfect shifts” are really perfect.You need to experiment for the best launch and shifts for your car. For example i have a Lamborghini Avendator LP700 4 and i never do perfect launch. When i launch perfectly* my timings for 1/2 mile becomes 13.900+ seconds. But when i launch at 3 – 4 (×1000) r.p.m. my timing becomes less than 13.6 seconds. Same is the case with perfect shifts. So do experiment with your launches and shifts. Hope this will work for you. *Perfect launch here means 7-8 (×1000) r.p.m. This..just ran my huracan at 3-4 at start and shifted early red every gear, nitrous at 3rd.. went front 13.19 to 12.42..half second faster with no tuning adjustments just messing with the rpm..this guy knows. Most fusion parts gives + Evo points but some are also – points. Should we avoid installing negative Evo point fusion parts? In the game i am asked to change the color of my car. But how am I doing that? In the customize menu the only option I have is to change the livery, but that’s not what I am asking for. Is there a possibility to just spray the car? I have 2 of the same car only diff. is the star rateing, Can I use the upgrades from one to the other after I unequip them? How do you re-fit a stage? i completed tier 5 bt i cant beat shax beacuse i have not stage 6 upgrade of Lamborghini hurracn …how can i get stage 6 upgrade? Same problem here. I am unable to beat Shax the third time and T5 ladder race 39 & 40 with my ferrari berlinetta. I have no Stage 6 upgrades. I think they want us to spend money and buy more keys. I have a shield showing 1 “perks” but when I go there nothing happens and the shield stays the same and does not go away. What is it there for? The shield showing 1 “perks” is a bug. Most everyone has that even though there is nothing to claim. Just ignore it – hopefully they’ll fix it and make it go away in their next update. I’ve driven R35 and almost of all upgrades was done. however, yesterday I got new LB GT-R. it looks good. Can I move my all of old GTR’s upgradews to new GTR? How can I do, if it is possible? I want to run only one car in one tier. my dodge viper in tier 4 gives me poor star in the live races .can anybody help me.in regulation races it starts fine. I’m trying to win the Prize Cup with my Tier 2 Porsche 718 Boxster. Of course I’m up against Tier 3 higher PP cars with no t. There are 30 races in last stage of Cup and for the life of me the car comes up from behind at the final seconds of race and wins. I’ve raced at least 50 times and can’t win the last 10 races. My Porsche is set at 458/758. That is the best I’ve been able to set it. Any suggestions? I have another question. I’m in the final leg of Larry Brunel’s Challenge. I’m driving my T5 McLaren 650S that has most of Stage 6 parts. I’ve spent 250 gold to change cars twice and cannot win. It’s set at 711/+453. I cannot beat his car because I need to be below 11,093 for 1/2 mile race and the best I’m getting is 11, 473. I have a Ferrari F12 Berlinetti that is set at 707/+882 and it will get 10,883 for 1/2 mile. Of course it is not one of the Tier 5 cars allowed in race. What can I do to win this race? Please help. Forget this request. My stupidity in thinking I had to drive my Boxster to win the keys. It was merely saying I was going to need to win to get my Boxster. Weird wording to me but oh well. I do need help in next question please. Do you have to fit uncommon parts before you can fit rare parts or epic parts? Fusion slots on some of my cars are locked do they become unlocked or are the only unlocked if you win the rare car? How do you use the super nitro? I don’t know how to activate it . I keep opening silver crates but cant win the lb-gtr35 nissane to compete in the prestige cup. Is their any advice out there to somehow win it? My brother has won 3 of them, why can’t i? My game keeps restarting on me is there any particular reason for that. I have a 488 spider and I can’t my actual time from the dyno. I have level 5 parts but no fusion parts yet. My fastest time in a 1/2 mile is 12.033 seconds and I can’t get to 11.900 seconds on elite time trial tier 5. Any suggestions or how to get the 11.900 seconds. Fusion parts and tuning. I was struggling with Shax as I had F12 with no Stage 6 upgrade. Finally after some tuning I suceeded. Just try to remove the Fusion parts from Stage 2/3 and refit them in Stage 5 – mayby this will give you more RP. My f12 berlinerta has a car rating of 706 and the game won’t let me race it in live racing. Why is that.??? They let me upgrade my car all the way up to 700+ and won’t let let me race it. This game has become laggy on my Samsung Galaxy S8+. I don’t know how people with slower processors play it. hi my fastest car is my t4 dodge viper. should i spend gold for it to deiver right away or just wait 8 hours for it to arrive?